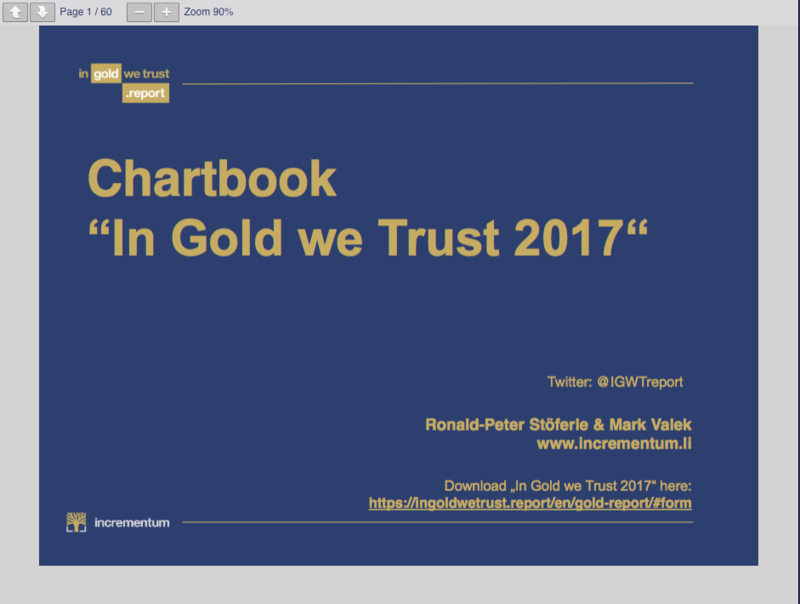 We are pleased to announce that our new chartbook "In Gold We Trust 2017" has been published. It contains the most exciting charts from this year's "In Gold We Trust Report" in an updated form. We wish you an exciting reading.